If the full 200-mile Terrible Two is more than you want, consider the Terrible 200-K: 121 miles and somewhere over 10,000' of ruggedly steep elevation gain. The route follows the infamous second half of the Terrible Two (“where the Terrible Two gets truly terrible”). We will use an attractive, rolling section of our popular Wine Country Century course to travel from the start (in Sebastopol) to the point where we pick up the TT course (the lunch stop at Warm Springs Dam Visitor Center). This includes such bike-friendly roads as Vine Hill, Wohler Bridge, Westside, West Dry Creek, and Dry Creek. Read the description of the second half of the full doubles course for a preview of what lies in store over those miles. This is an opportunity for riders new to the TT to familiarize themselves with the harder half of the course under “game day” conditions, with the full support for which the TT is known. Some may choose to do it as a test drive before tackling the full TT in a future year. For others, it may be a worthy goal all by itself. Make no mistake: this will be a very challenging 200-K. It may be the hardest 200-K you ever do. With that thought in mind, we urge you to consider carefully before signing up for this event. We offer the same disclaimers for this ride as we do for the full Terrible Two: we want only experienced, fit riders who understand what they’re taking on. There will be a mass start at 7:30am. Finishing times will be recorded and listed in the official results. 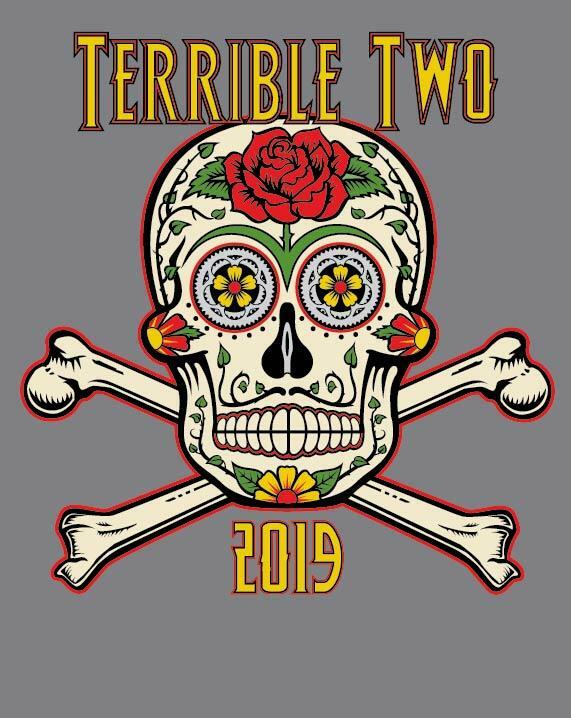 Riders who complete the course will receive a complimentary Terrible Two 200-K t-shirt.